When RancherMan & I married I already had a house of my own. As a single mother I was making ends meet, but just barely. Of course he had his own home as well. So when we married we sold my house since his house was easier to fit our growing family. The kids and I moved in with him & his children. Now of course with a larger brood the previous household expenses were bound to go up, but certainly not by double. It was hard to wrap my brain around the potential of us having $12,000 worth of CD’s in one year! But we really wanted that financial security, so we decided to go ahead & give it a try. We were thrilled to find it was beyond effortless. Of course at first it took discipline not to just consider it spending money. We still had to watch our budget. But soon it became a habit we no longer needed to even think about. Then our CD’s began to rack up. After that first year we were never more than 30 days away from a renewal if for some reason we needed the cash. With each new renewal we would simply add this month’s $1,000 payment to the renewing CD and put it back out there for another 12 months to earn yet more interest. This was brilliant! And because it was using money we were already used to spending, it didn’t even come out of our budget. We both dreamed of a day when we’d have our own little place in the country. Could it be possible?? We contacted a real estate agent and found this piece of paradise in Northeast Texas. I fell in love with that old 1880’s Barn & he loved the lay of the land. We decided to call it our own. But we didn’t want to risk our financial security by blasting through the nest egg we’d built up. So even though the land payments were only a fraction of our monthly CD amount, we started making those $1,000 payments to the mortgage company to pay for the land. We paid it off in record time yet it still didn’t come out of our monthly budget. Wow, that’s exhilarating. NOW WHAT? 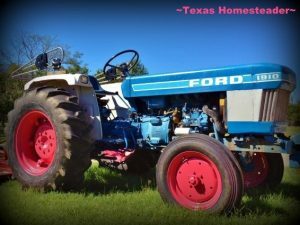 Well now we needed a tractor, storage buildings, fencing, ponds, etc. These things were all taken care of with that same effortless step started years ago. We simply continued to set aside that same amount equal to my old house payment that we were no longer making. 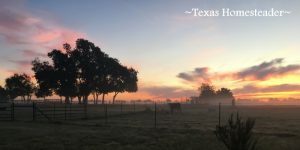 Our equipment and our pasture improvements were all paid using that method. And ponds were dug and fences were built using that method as well. The beauty of it was that we weren’t going into debt. And it still wasn’t coming out of our monthly budget. Effortless! Living Our Dream… Debt Free! Fast forward a few years. We built our home & moved from the big city to live our dream of country living. And when we decided we wanted to pull the plug on corporate employment and run the homestead full time we were able to do so. With no debt looming over our heads, our monthly income requirement was already low. Wow, what a tremendous difference being debt free makes in your ability to make decisions. Those decisions are not based on your debt load, but on your CASH! Are you longing for financial security? This is a more effortless way to build that nest egg. I urge you to try it in a way that works for your household. Maybe make a small monthly payment to yourself into a savings account each payday, just like any other bill. You won’t even have to take it from your current budget if you can free up a little budget money by skipping a night or two of eating out each month, eliminating ‘boredom shopping’ or saving money by buying groceries cheaper in bulk from Amazon . When that washing machine goes out or the lawn mower dies, the money will already be in the bank to pay for its repair or buy a new one. If you start small and build on it you won’t feel the pinch at all. And the freedom of financial security is priceless! 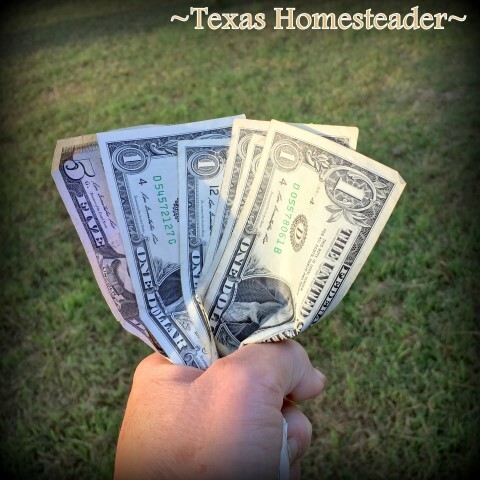 This entry was posted in Blog Posts and tagged Frugality on May 14, 2013 by Texas Homesteader. I totally agree with you. When a bill is paid off, continue those payments toward your savings or investments. It really isn’t hard because you already are used to not “having” the money. Glad you wrote about it because it has been successful for my husband and I too. Thanks for sharing at Let’s Get Real Friday. Love this story! It’s so important to learn how to save and be financially stable. Thanks for sharing at Simply Natural Saturdays! Any time I can set myself up for lazy savings like this, I do it! If I don’t have to consider whether I will or won’t save (because it’s just automatic) I always come out ahead. Thank you for sharing this! When you break it down like that (12 mo CD), you realize just how simple this is. With the amount that I tend to throw away each month on frivolous items, this is definitely doable! Thanks! My southern man and I do something similar, and were debt free. I went back to school and now have a student loan to pay back, and other things including a move, and illness leave us in debt. However, we are slowly getting things back under control, yes it is nice to be debt free. Thanks for sharing once again on Tuesdays With a Twist. This was a super idea! thank you so very much! It was very inspiring to hear about your savings efforts. I pinned it to my Pinterest money board for future inspiration. Thanks for this post! Great advice! Really made me think of ways my family and I can put money away while decreasing money flowing out. Thanks for sharing at the Blog Hop Blitz, you were selected as one of our Most Valuable Bloggers! This is such great advice. I am SO glad you stuck with saving that way y’all did/do have money when you really want something. I think I may have to try this. Thanks for sharing and for linking up to Thrifty Thursday. “make decisions not based on your debt load, but on your CASH!” YES! What a liberating feeling! Well, we still have ridiculous amounts of student loan debt but we also keep a supply of cash for anticipated big expenses, like a car purchase and our wedding. This is great advise, my 86 year old mom did this her whole life and was never in debt. Financial independence is hard in this country, but for me represents true freedom. I agree, it takes small steps and patience. Thank you so much for the encouragement and beautiful pictures. I hope I can own a piece of the country someday. Hope to see you at True Aim! Such a great reminder! And something our culture really needs to hear. My husband spent four years unemployed/underemployed. When he got a fulltime job in his field last year, we committed to continue living at the level we were and using everything extra to rebuild our savings. Now, a year later, we’re able to happily do some projects around our little homestead because we know we have plenty of savings. BTW, my oldest son goes to jewelry school in your neck of the woods. It’s a nice area up there.